IP finance: An Innovation Cliff? Is It P&G's Problem or All Our Problem? An Innovation Cliff? Is It P&G's Problem or All Our Problem? Forget Silicon Valley and Apple. If one really wants to understand long-term success in innovation, one should leave the California West Coast and sojourn in the US Midwest. In particular, one should focus on the likes of 3M (in Minneapolis) here and Procter & Gamble (in Cincinnati) here. Is is here, where solid and even stolid trump racy and edgy, that retail innovation has been taking place for multiple decades. What happens at companies like 3M and P&G is crucial to the future countenance of innovation, not merely in the U.S. but globally. For that reason, an article that appeared in the September 7, 2012 issue of Bloomberg Businessweek is worthy of special note. Entitled "P&G’s 1,000 PhDs Not Enough to Crank Up New Blockbusters" here, the article, written by Lauren Coleman-Lochner and Carol Hymowitz, describes the relative decline in successful innovative activity at P&G, the world's largest consumer product company (think Crest and Pringles) and it offers various explanations for the current state of innovative affairs. 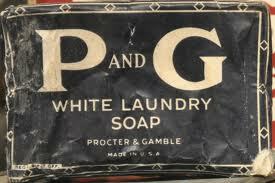 P&G is described by a former innovation officer, Larry Huston, as being "largely a branded science company." At the business level, this means that company flourishes when it can "charge premium prices for cutting-edge products." At the product development level, this means that, in the words of Tuck School of Business professor Peter Golder, "P&G is built on creating new categories, and innovation is in its DNA, but they need to rediscover it." If not, the continued likelihood of customers being willing to pay more for a P&G product than other products in the same product space, especially in tough economic times, will prove to be a monumental challenge. 1. P&G has not had a homegrown product blockbuster in a decade. This is so, despite employing more than 1,000 PhDs as part of an innovation staff of 8,000 employees spread across 26 innovation facilities world-wide. 2. R&D spending as a percentage of sales has declined since 2006 (from 3% to 2.60%). 3. In the words of analyst Victoria Collin, P&G's product offerings have focused on"reformulating, not inventing products." Of particular interest are two factors that the article considers in connection with this relative decline in P&G's innovative activity--outside collaborations and the deleterious affect of decentralized R&D. As for outside collaboration, the article is unclear how successful it has been. The article gave one example of collaborative success (a wrinkle-reducing ingredient obtained from a French company), but we are not told whether this an isolated instance or merely one example of many successful relationships. The only hint at the answer to this question is that, except for this mention of the wrinkle-reducing ingredient, the rest of the article focuses entirely on internal R&D/innovation activities by the company. This suggests that outside collaborations may not be contributing materially to P&G's innovative activities, although this conclusion may simply be an artifact of the article rather than a reflection of actual circumstances. As for in-house R&D, the article provides much more information. It seems that, together with more outside collaborations, former CEO A.G. Lafley decentralized R&D activities, giving responsibility to business-unit heads for product development. Presumably, the thinking was that innovation would be enhanced by bringing R&D closer to the business unit likely to commercialize such developments. The result? As they say --au contraire. Between the years 2003-2008, sales from new products declined by nearly 50%. By the year 2009, so-called big product breakthroughs had declined to six a year at the most. 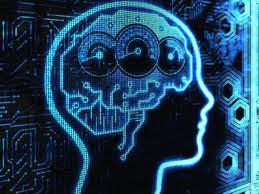 Whether an example of unintended consequences or maladroit management ab initio, the ultimate affect of the move to drive innovation closer to the business units was to slow down innovation at the price of tying research results to short-term profit considerations. Perhaps the biggest question is whether P&G's current innovation slowdown is due more to managerial missteps, such as those described above, or whether there is something more fundamental going on. A similar question is being asked in connection with impending patent cliff faced by the pharmaceutical industry. For both, the issue is the way in which managerial decisions impact on a company's innovation. If the better answer is that managerial errors are largely responsible, then in principle what is needed is primarily for corrective managerial measures to be taken. Consider, however, another explanation, namely that, for reasons not fully understood, spurts of innovative activity are punctuated by cyclical declines in innovation. Managerial decisions may have marginal impact, but they are not likely, on their own, to accelerate the time line from a period of less innovation to one of higher innovation. This view was well-summarized by the thoughtful Swedish academic Ove Granstrand, who described the ups and downs of innovation activity as "the nature of nature". For a company as large as P&G, a lot rides on getting right the answer to the question above. This is especially if the Granstrand view of innovation is the more correct one. In such a case, too much managerial change intended to accelerate, of whatever kind, may be a drain on resources and less effective in the ultimate result than no, or little change at all. I suspect the decentralization of R&D may be a sufficient culprit to explain the majority of the decline. When a manager is in charge of a number of successful profitable products, and at the same time R&D efforts which can either be directed at a) incremental innovation to improve the products currently being offered (business as usual) or b) disruptive innovation which may result in radical change to the market (and the viability of the current manager's position) is it really a surprise that disruptive innovation decreases? This might be particularly the case for a larger and older company such as P&G who is more likely to have promoted from within, and have managers who have been heavily instead in the current brands and technology for some time. Are there too many patents?